Each wheel in this pair of small ship valve control wheels measures 6 inches in diameter and 3/4 inch thick. Each wheel weighs about 3 pounds. These items are being sold in as found condition. You can expect loose paint, dirt, and some grease here and there. 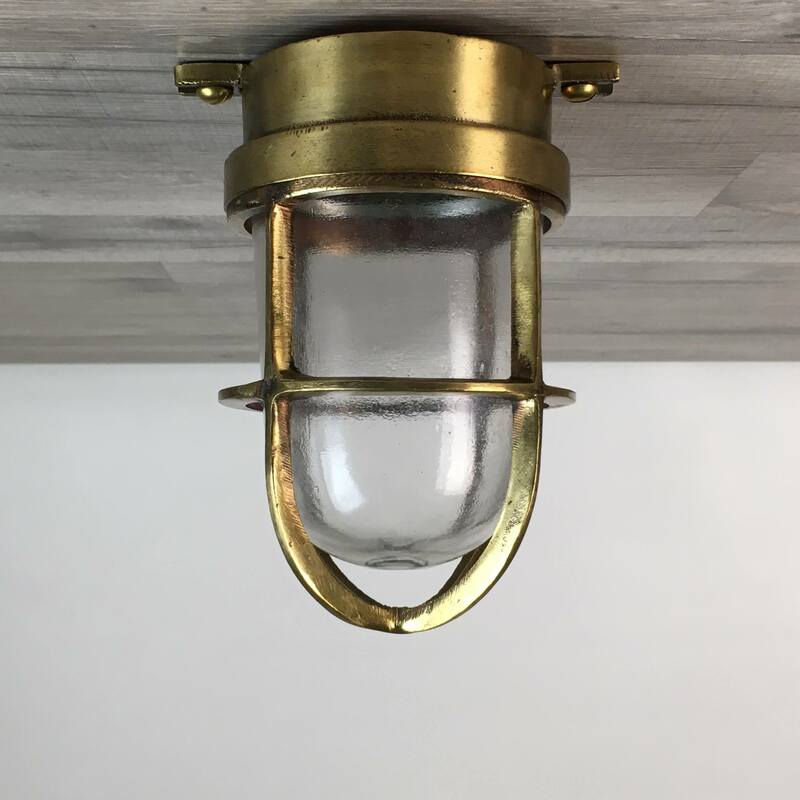 These are a great display piece that can be displayed unrestored,or even restored and painted! 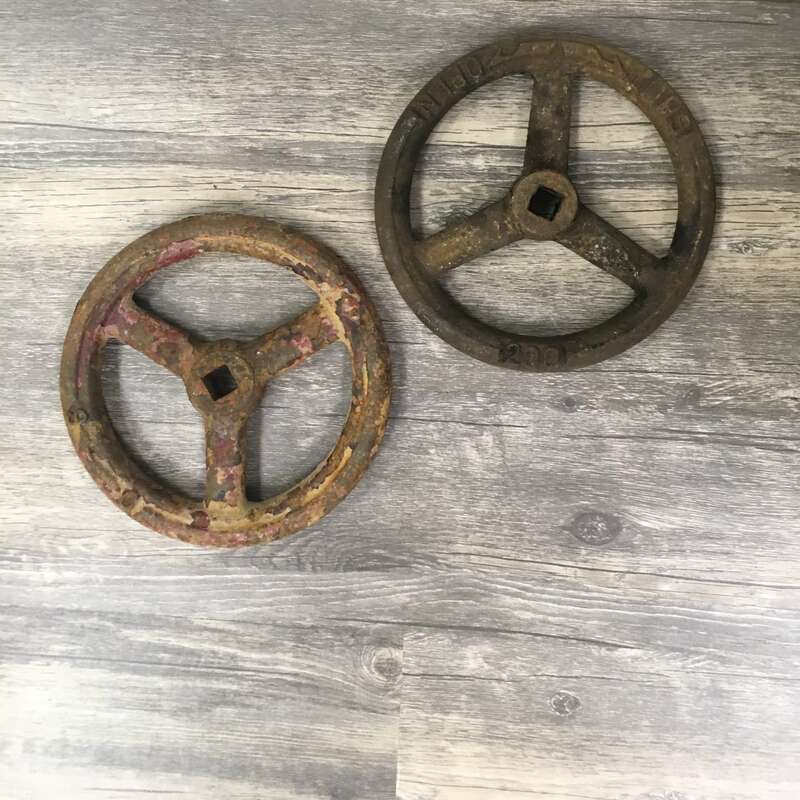 You will be shipped the pair of small ship valve control wheels in the photos because, we take new photos for each listing!